I’ve always thought of age as ‘just a number’ but there must be a scientific reason as to why turning 40 means your life has reached its climax. They say it’s all down hill from here, which for some, speaking metaphorically suggests there’s a financially-stable sled waiting at the top of their hill – one that will comfortably carry them all the way to the end of their chosen path. Regardless, turning 40 simply means your body’s performance capabilities have expired. You’re going to lose brain sensitivity, muscle mass and vitality, so therefore it’s recommended you stop climbing and take the conventional path downhill. It’s easier, it’s what you’re supposed to do. Well, my sled won’t slide too far if I turn down now, so I’ll keep climbing – and by that I mean keep doing what I do – irrespective of judgement or opinion. I’m not married, I’m yet to have children and I don’t even own a house. I’m a conventional failure and I’m pretty happy about it. Happy I still have a child-like awe of the world, eager to start each day and follow my nose toward fulfilling another crazy idea. The only difference now is I have the experience, resources and amazing people around me to help make those crazy ideas materialise. 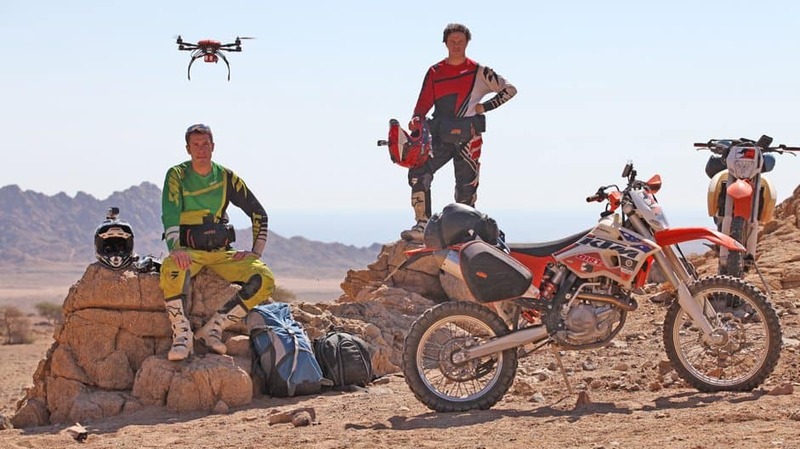 Riemann made Motonomad with a bag of camera gear, two dirt bikes, a drone and a good friend, Mark Portbury. Riding a dirt bike from Austria to Egypt for the making of Motonomad in 2013 was a crazy idea, but it was as if everything I’d ever achieved in my life had lead me to do so. Twenty-years of racing dirt bikes in National and International competition is a pretty solid foundation when considering a motorcycle adventure. Fifteen-years of photography and motorcycle journalism has equipped me with the skill to visually capture and document the experience. And, five-years of fumbling my way into video editing has enabled me to render the entire ‘crazy idea’ into a 90-min documentary. In a sense, Motonomad is my life’s work and culminates a string of achievements made by simply following my nose. It’s the biggest project I’ve ever conceived, executed then fulfilled by sharing it with the world. Regardless of whether or not I sold one copy, the experience alone was priceless. Motonomad is selling and the fact it’s appreciated by people all over the world is a triumph that goes well beyond putting money in the bank. To me, it’s justification, endorsement and pure incentive to keep dragging the sled uphill and finding a way to bring crazy ideas to life. Yes I’m old, hangovers need twice as much recovery time – as do injuries – but my beat up chassis can still cart my brain to the ends of the earth and capture a unique story along the way. After four decades, I think I’m starting to get the hang of living. And just as well, because apparently life begins at 40. In this life, Adam Riemann’s camel runs on petrol. Good-on you son! Stumbled across your photos and then video shorts when I entered the crack cocaine world that is riding dirt with your mates! I thoroughly enjoyed Motonomad from the moment I saw adverts for it and then blaring it through Bose surround sound on my bloody-big (almost compensating) telly with the Mrs! I’ve juuust turned 41 in Dec and last week-end completed my first Sprint Enduro here in Arizona and despite placing 67/90 and being totally demolished physically…I bloody loved it and am signed up for the next race. So, sufficed to say, I AM married, I do have 2 kids and I DO own a house…but I couldn’t have written the above paragraphs as you did with any less conviction! Cheers Mark to you and your mates…love it! Thanks Peter, glad to hear you enjoyed Motonomad! Currently masterminding the next one! I agree that life begins after 40! I turned 43 this year and have noticed that the past 3 years I have been riding harder and trickier obstacles and even seem to be a little faster than in my 30’s. I entered my first Extreme Enduro (The TKO) last year and have entered again this year. I think age is just a number as long as you stay active and not follow the typical mindset that after 40 you pick up golf and grow fat while waiting for your kids to have kids. By the way, still not married, no kids, but loving life and can’t wait for the weekend to ride again! Getting better with age – cheers Todd. Nice work mate! I am 43, I turned 40 whilst serving in Afghanistan, and when I returned home my girlfriend had stripped my house of all my furniture, art, white goods, electrical goods, etc. Pretty much everything except my Dog, which I would have killed her for! Adam, I have just finished watching your “MOTONOMAD”. Bloody hell mate, epic! Loved it. Was a little upsetting seeing how the Egyptians were flogging the hell out that poor horse, but good on ya for making him stop mate! I’ve seen similar horrific treatment to animals in East Timor, Iraq, and Afghanistan in my deployments over the years. “SLOW IS SMOOTH, SMOOTH IS FAST”. Take care Adam, keep up your awesome work and motivational videos mate! They do more GOOD than you probably will ever know mate. Thanks for the kind words, Davis. It’s good to receive endorsement from frontline Aussie heroes like yourself. Cheers! Good call…..I didn’t buy my 1st house til just on 46…so it’s not too late yet!!! And then I was introduced to dirt bike riding that same year by a friend…. and have been like a frothing surf grommet about bikes ever since. All my friends were saying “mate at your age you’ve got to be careful.. things break easier and on and on they went”… My answer was that I’m not in a walking frame yet…I have Ankylosing Spondylitis (a type of Rheumatoid Arthritis) so there are issues with stiffness so I can be very awkward mounting the bike (the short legs just add to it). 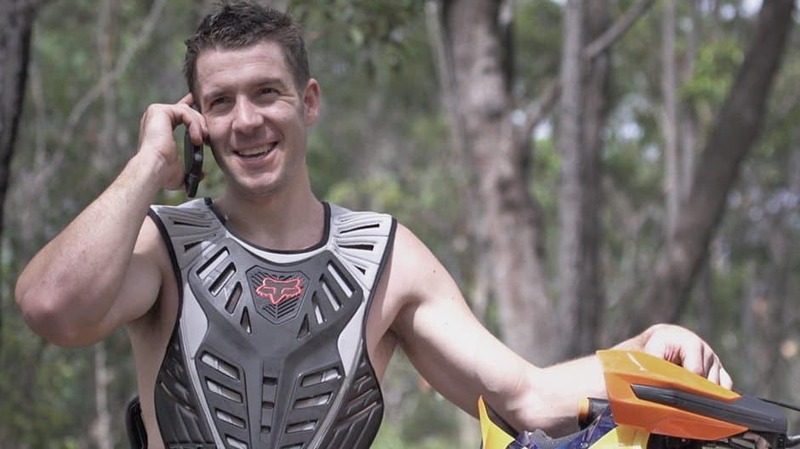 I love riding anything enduro….. the places you can go that you would never get to see normally. Cape York and NZ are on the bucket list. I’ve done an enduro ride in the desert outside Las Vegas and got to see loads that you’ll never find in a brochure and now find if we’re planning any holidays I’m checking for dirtbiking tours in the area as well. No injuries so far and although I’ll not likely be the fastest guy around I have gotten far better than I ever expected and …like surfing you don’t have to the best to have the most fun… So after 40 you’ve still got at least 2 decades to go and having seen guys in their 70’s still riding …probably longer. 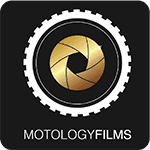 Keep up with the films…they’re inspiring and beautifully filmed.. plus I do like the honesty with the blooper clips I’ve seen that give me comfort in knowing some of my crashes are as spectacular as yours!! I just turned 30 and saving up for my first Adventure bike. Still on my first bike the Suzuki Naked Bandit. But after watching Touratech explain all the goodies they added to the new 1190 R and now watching you. Your lifestyle resonates with me. I have wife and kid, still single, I want to explore now after watching all those adventure bike videos and especially after watching your content! Also I am starting to want to get into photography and video editing and capture the friendliness of the world which I think is the reality instead of the news media’s view! Getting an 1190 R or the new 1090 will definitely motivate me to travel far since the Netherlands has so much nice roads. Just itching to go off road and disconnect from the city life! Sorry I meant I have NO wife and kid :P Wish I can edit that! Sorry for the mistake! I wrote this around 3:30 AM as I can’t sleep because I am thinking about Adventure Bikes! I love your films. You(and your team) have a relaxed, but insightful way of producing them. I’ll be turning 50 next year, and have beat into submission several dual sport bikes…xr650’s, 3 klr 650’s, and currently have taken my 2015 KTM 1190r into Moab a few times, as well as the Eastern side of the US. I love looking at youtube and going on adventure by proxy with you guys. Probably need more crash bars on my bike now. Thanks…..Keep up the great work! Aside from Baja, I’m dreaming of taking it through the Simpson desert.. I am 63 years old and still riding. I just rode my 2016 KTM 500EXC today. Age is a number. It keeps me young and spirited! I am not one to sit on a couch and watch ball sports. I want to live my sport and live it I do! I may not be the best rider, but there is nothing I would much rather do.